From Copacabana to Croyde… Learn to play Beach Volleyball in North Devon and the UK! Welcome to Beach Volleyball School and to Croyde, one of the best locations in the UK for volleyball! 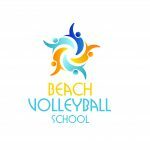 Here at Beach Volleyball School, our experienced, professional coaches always deliver a fun-packed, enjoyable volleyball experience.